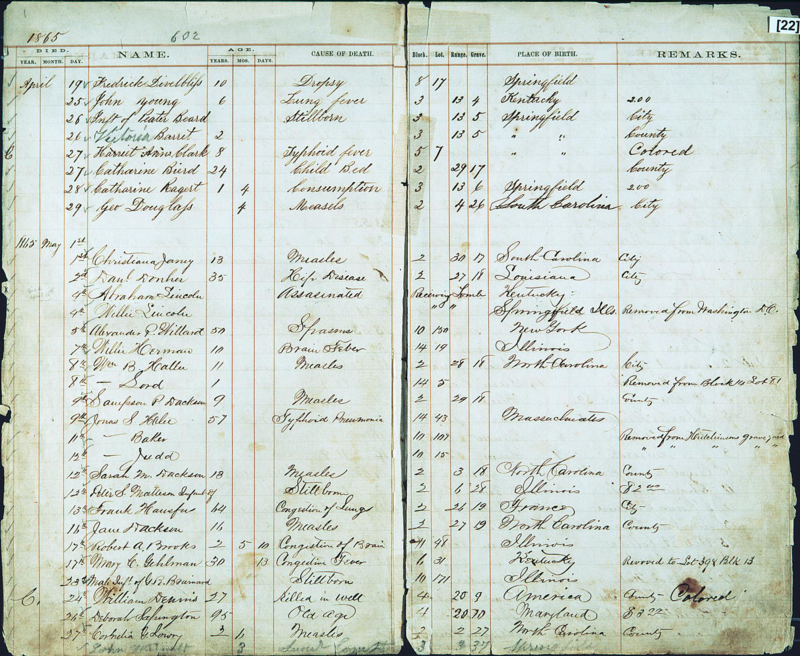 A great source of information for my family genealogy has been burial records. I don’t mean lists of tombs in cemeteries, though those have been a good source too. Some cemeteries have put their burial records online, and they have been awesome. Prior to finding that, I’d thought he’d died in 1945, as that’s the year I was told. Mind you, the information isn’t all correct. For instance, the record states that there is no monument and no marker. I’ve been there and have photographed the marker. Brigham City Cemetery and Ogden City Cemetery in Utah have also transcribed their records, including parents and spouses of the deceased. Evergreen Cemetery in Colorado Springs put a listing of their burials online too. Theirs has plot location and year of burial, and sometimes birth and death dates. Even though I don’t have any relations buried at the grounds, Lake View Cemetery locally put their records online. Most of the ones that put their records online are government owned cemeteries. A lot of private cemeteries will charge anyone but family wanting to look up where a grave is. I find that kind of irritating. I found a really fun one last week though. The Solle family originally settled in Springfield, Illinois. There are a number of them buried in Calvary Cemetery. I came across a set of interment records for Oak Ridge Cemetery last week. Curiously, all the Solles are listed in their records. I don’t know why this is, but perhaps the two cemeteries were jointly managed for a while. I don’t know. Anyway, this was an awesome find because this set of records are scans of the original burial log books. They include age, date of death, location of death, and cause of death. Edit: I found out why they are listed in Oak Ridge Cemetery in the official records but Calvary Cemetery elsewhere. The two cemeteries abut each other, and there isn’t clear demarcation in all places. Years ago, someone inventoried graves in Calvary Cemetery and the Sangamon County Genealogical Society posted their list. However, due to the lack of a good boundary, they included some markers from Oak Ridge in their list, including my family. Then people copied that list to other places, and so the misinformation spread. 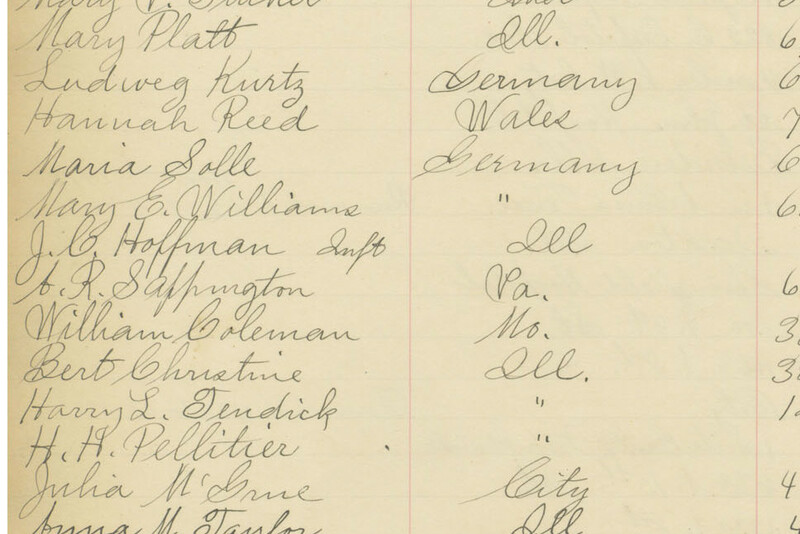 Here’s the page for my second great grandmother, Maria Solle. One obstacle to using these records is that the Illinois Digital Archives decided to display these images one section at a time. No problem. I downloaded all the pieces and started lining them up. But that was very time consuming. Thanks to the lazyweb (specifically Fes) I found Microsoft Image Composite Editor. It’s made for stitching together panoramas, but these is a very easy case of the same problem. I simply dropped in all the pieces and it sorts and merges them, though I had to adjust things once or twice. There are a few old maps that I can get pieces of online the same way, so this is gonna be a great tool. And here’s a bonus for reading this far. Oak Ridge Cemetery is where Abraham Lincoln was buried. 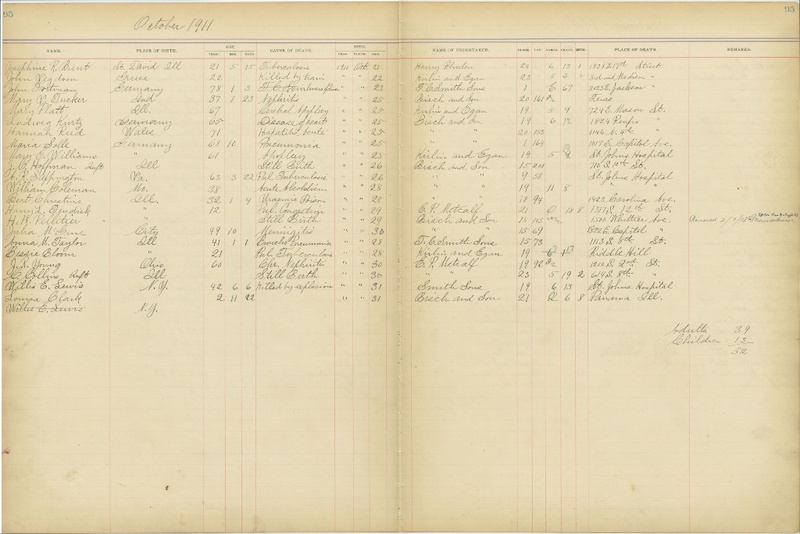 Like everyone else there, the cemetery entered his information in the log book. Here’s the re-assembled page. I’m sure someone else on the internet has already done this, but I couldn’t find it. Ha! That is so cool! It is neat to have the images of the actual logs - so much more...erm..."real", I guess. More personal.